Corporate Labor and Employment Counsel Exclusive Join us for an intensive and interactive seminar focused on labor and employment law issues facing today's in-house counsel. In the 1920s, Walter Morgan had a vision to build a tranquil retreat capturing the essence of hacienda-style living. With the help of renowned architect Gordon B. Kauffman and scores of artisans, the first casitas and dining room of La Quinta Resort and Club took form. Word quickly spread through Hollywood that Morgan’s desert oasis provided an escape from the limelight–and prying eyes–and many celebrities descended to La Quinta throughout the years. 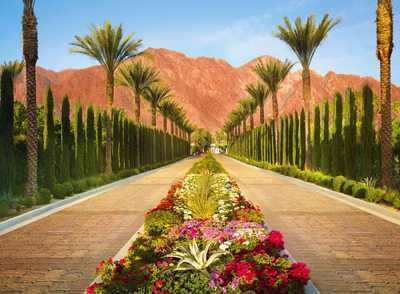 Now a relaxed playground for championship golf and tennis, fine dining, and blissful spa experiences, La Quinta Resort and Club remains the original desert hideaway and the quintessential Palm Desert resort. To tour the property, click here for a short video. WAITLIST This seminar is currently sold out. If you would like to be added to the waitlist, please email ODEvents@ogletree.com with your information and we will add you to the list. If a spot becomes available, we will notify you immediately. Cancellations To cancel your registration for this event, please email OD Events.